Who doesn’t like Disco? Or rolling pins? We were happy to support the MGA Disco Mania Funky FUNdraiser in April. Our donated rolling pins helped Maine’s only all-girls school raise nearly $50,000 for scholarships. 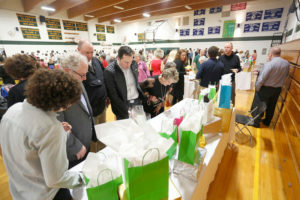 More than 200 people attended the event. MGA’s mission is to educate and empower girls to become confident thinkers and compassionate leaders — women who will change the world.